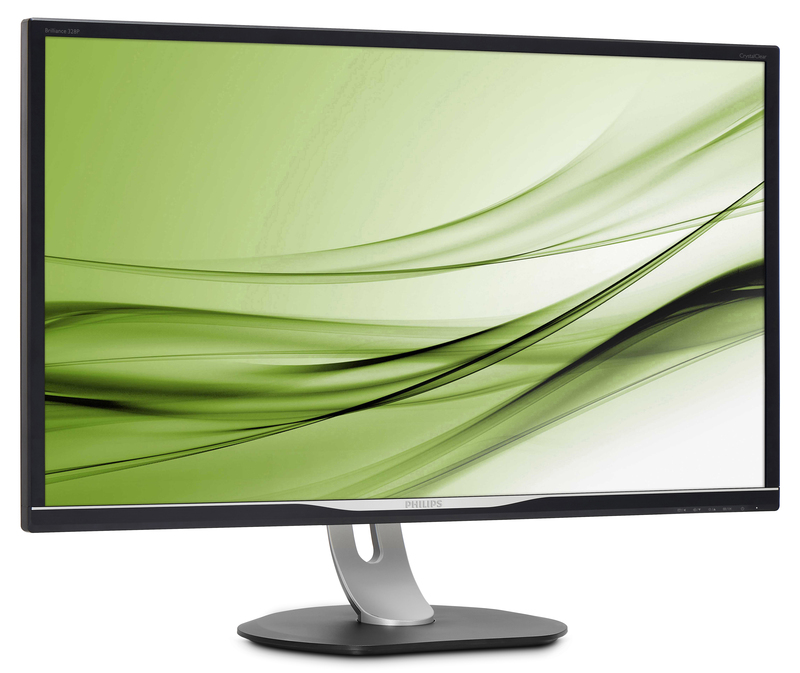 Philips has formally announced its 328P6AUBREB monitor it demonstrated earlier this year. The 31.5” QHD display supports the AdobeRGB color gamut and has a built-in USB-C dock that features USB ports, a gigabit Ethernet port, and conforms to USB Power Delivery specifications to support power to laptops. The monitor is positioned as a solution for professionals and prosumers who need the AdobeRGB color profile. The built-in USB-C dock will also be a strong benefit for Apple’s latest MacBook and MacBook Pro laptops that only feature USB-C connectors. The Philips Brilliance 328P6AUBREB (or 238P6AU for short) display belongs to the company’s P-Line family for professionals and prosumers that require high quality and advanced features. The Philips 328P6AU covers 100% of the sRGB as well as 99% of the Adobe RGB color spaces, and each screen is factory calibrated to Delta E <2 accuracy, which is important for those who work with color-managed content. Meanwhile, the manufacturer advertises that the unit also supports HDR10, but does not disclose any details about the look-up table (LUT) it uses for HDR color gradations. Moving on to general specifications of the display, which seem very solid. The Philips Brilliance 328P6AU is based on an 8-bit+FRC IPS panel that can reproduce 1.07 billion colors and features a 2560×1440 resolution at 60 Hz. Philips says that the display has a 450 nits typical brightness as well as a 1200:1 static contrast ratio, which is well above average brightness and contrast supported by entry-level pro monitors. Given its professional positioning, the Philips Brilliance 328P6AUBREB comes with a highly adjustable stand. The stand can tilt the display between -5 to 20 degrees, swivel +/- 170 degrees, pivot +/- 90 degrees (i.e., it can be rotated into a vertical orientation), and provide height adjustments of up to 180 mm (7.1”). Connectivity is an important aspect of all displays, but for the Philips Brilliance 328P6, it is actually one of the key selling points. The monitor features a DisplayPort 1.2, an HDMI 2.0a, a D-Sub and a USB Type-C inputs, which means that it can work with contemporary PCs as well as inexpensive legacy systems. Meanwhile, the USB Type-C port supports DisplayPort alternate mode for USB-C, serves as an upstream port for two USB 3.0 Type-A headers and a GbE connector, as well as can deliver up to 60 W of power to the laptop, eliminating the need to use a laptop power adapter while using the monitor. 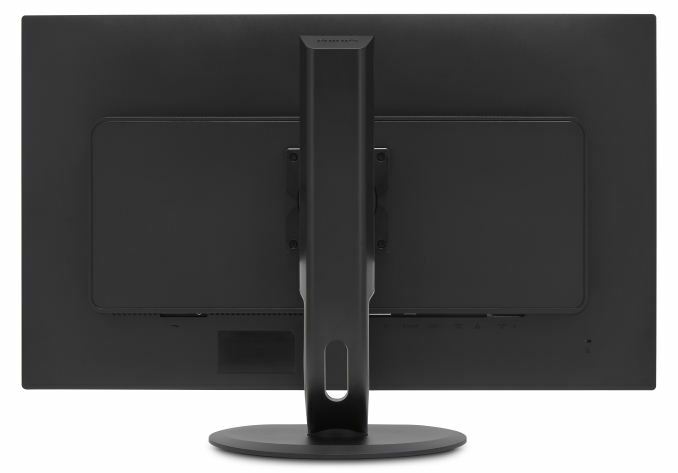 TPV Technology, which makes displays under AOC and Philips brands, usually introduces its new monitors in Europe first and follows up with its announcement in North America later, which is why MSRP of the Philips Brilliance 328P6AUBREB in the USA is unknown. In Europe, it is going to retail for €499 when it hits store shelves in January. It is safe to say that the product will cost around $500 in the US, but its exact recommended price is yet to be disclosed. 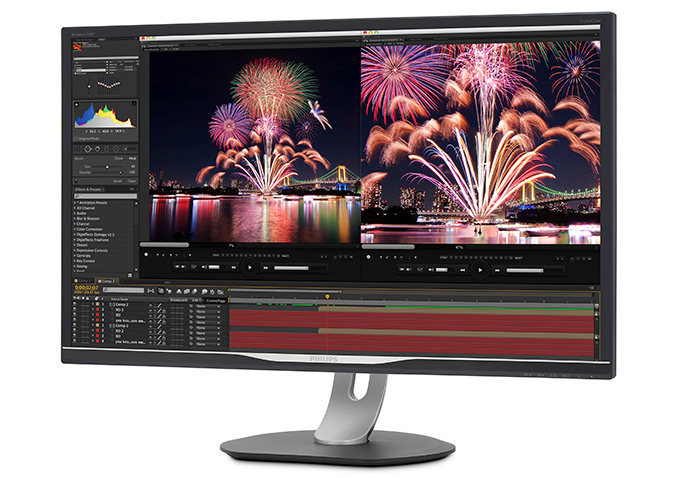 Keeping in mind that we are dealing with a professional-grade calibrated QHD 32” monitor featuring a 450 nits brightness, HDR10 and a built-in USB-C dock with two USB-A ports, Power Delivery and a GbE header its price does not seem too high. But he's not wrong. Doesn't matter how well they sell if purchasing frequency isn't significant.